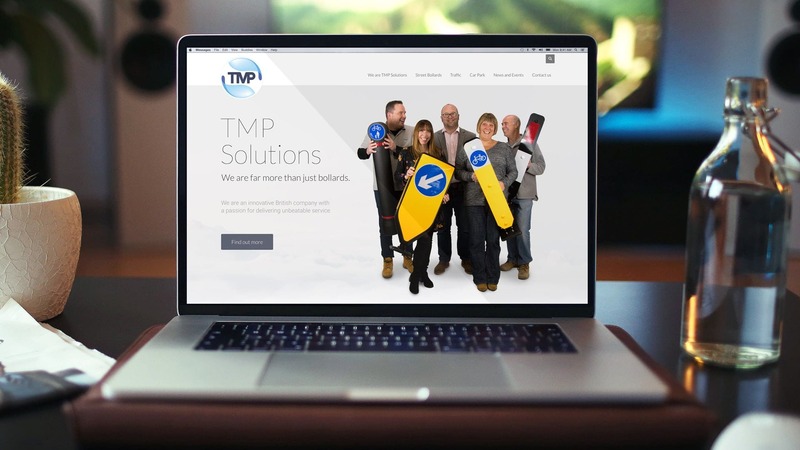 You may have noticed over the last couple of days that our website www.tmp.solutions looks a bit different, well a lot different actually. We’ve redesigned it from the ground up to better showcase who we are as an organisation and as a solutions partner for the highways and car park industry. TMP Solutions, or Traffic Management Products Ltd as we used to be known, will always be synonymous with traffic bollards. But we’re more than that. We are an innovative British company with an experienced team passionate about delivering effective, long-lasting solutions over a wide range of product groups. For example, did you know that we make some of the most energy efficient sign lights and solar products available? As well as one of the most effective and easy to install passive chevron systems on the market today. And, not forgetting our brand new street furniture bollard range. We make the street bollards right here in the UK from a recyclable polymer. The innovation is that they fit both the round and square industry standard sockets that are already in the ground, as well as our new LockSafe® socket. What you’ll find on our new website…. Team TMP – who we are, what we’re about, our culture, values and why we’re far more than just bollards. Upcoming events and industry news. New and improved product solutions for highways and car parks with all new photography, so you can really see the quality and effort we put into everything we make. Easy access to data sheets and installation guides. Plus all the contact details you need to get in touch with us; maps, emails and mobile numbers of our service team. Even more case studies of our solutions in action and how they can deliver results and cost savings. Be sure to follow TMP_Solutions on LinkedIn and Twitter, or sign-up for updates on our website .